As 2011 draws to a close, I’m minded as to how fortunate I’ve been this year as I’ve ploughed a furrow into the amphitheatre of motoring writing. A year ago, I was deeply entrenched in researching for my first book and running occasional 1990s Car Quizzes to my 200-odd Twitter followers; having a motoring website of my own wasn’t even something I was remotely considering. Somewhat humbled by reflecting back on what’s happened, I think it fitting to publicly thank those who’ve offered hours of invaluable assistance along the way. Back in March, I invited two up and coming journalism students to talk to Sixth Formers at the academy I teach at. Both Darren and Tom were fascinating and engaging but inevitably Darren’s penchant for cars was something that appealed to me on a personal level. I genuinely believe if he’d not invited me to write a guest post on his blog, the website you’re on now wouldn’t exist today. Website up and running at the dawn of spring, I thought I’d have a go at reviewing a car or two. I knew I wouldn’t have a hope of being lent anything from a manufacturer press fleet so I thought laterally instead. 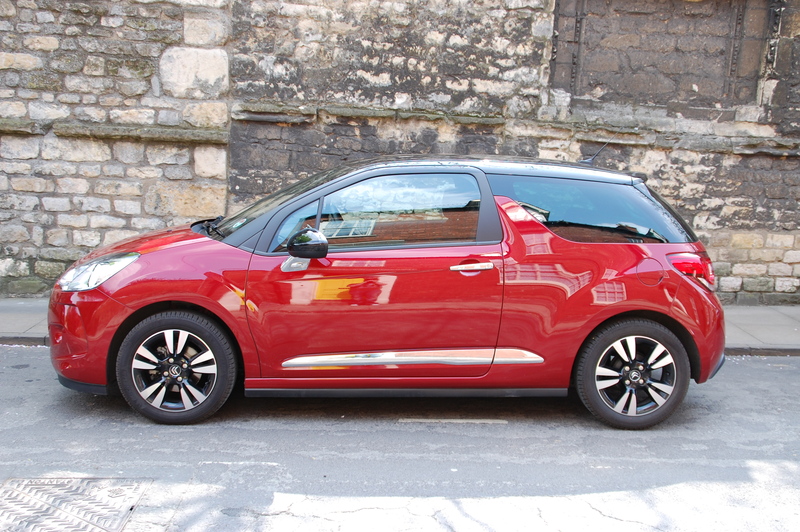 My mum’s recent Citroën DS3 purchase made for an engaging debut piece, while James Boughton-Thomas, General Manager of Lincoln’s Lexus and Toyota centres ensured a selection of models were available for me to test drive and report on. 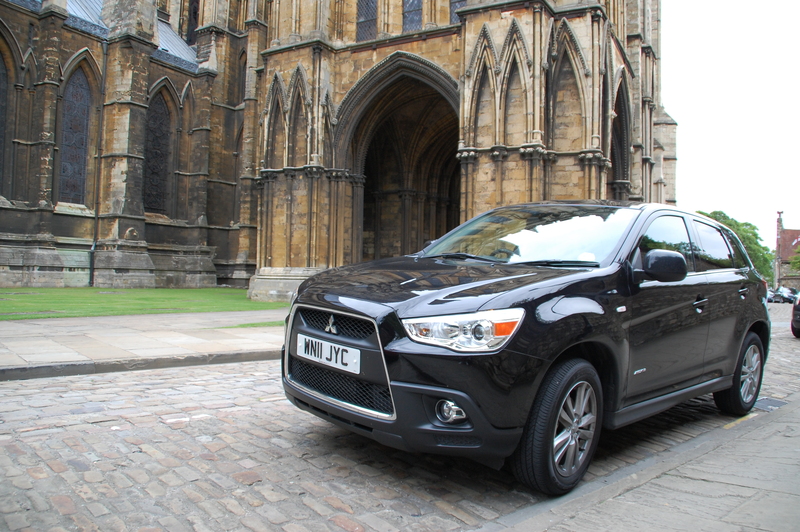 Those initial reviews, combined with a ‘by chance’ discussion about loan cars with Vanessa Nalder and Shona Smith at Mitsubishi enabled me to be on a press fleet list for the first time. Their generosity is something I will always appreciate, both in terms of having the faith to lend me cars, as well as the fact it opened doors to other manufacturers too. Following on from Mitsubishi, Scott Brownlee at Toyota opened further doors, in August, inviting me to my first launch, as well as being incredibly encouraging and supportive of what I was doing. At the event I was fortunate enough to meet many from the Toyota and Lexus team, including Nik Pearson and John Brooks, ensuring a steady stream of diverse cars have been supplied since. In October, a selection of established motoring writers and newbies and hopefuls like myself were invited to Farnborough for the first SEATtweetUP – a social gathering where a range of the Spanish marque’s latest offerings were available for sampling. A worthwhile event and plaudits to Mike Orford at SEAT for running with the idea. Other manufacturers have also provided cars to review, each one bringing a new wave of visitors to the website. Many thanks to Carly Escritt at Kia, Craig Morrow at Peugeot, Amy Allen at Škoda and Nickie Milne at Volvo for their help. 2012 promises to be bigger still with cars from Alfa Romeo, Fiat, Jaguar and Suzuki due for my lengthy review treatment in the first quarter of the year. It’s not just been new cars that have been popular on the site either. 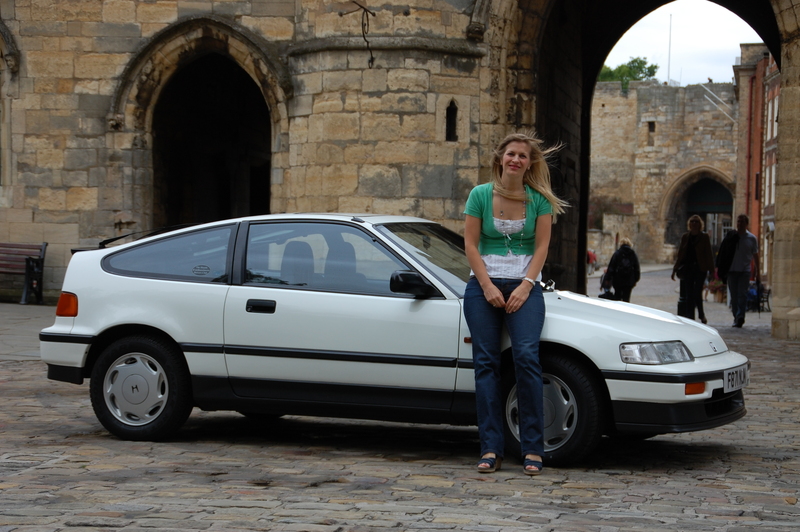 There’s been a lot of love for my stepdad’s Daimler DS420, Amy Littlejohn’s Mk I Fiesta XR2, John Horton’s Triumph Acclaim and Marie Appleyard’s Mk II Honda CRX. Again, 2012 will be boosted by more older favourites being featured, so look out if you’re a fan of BMW’s E36 convertible and Volkswagen’s early 90s Polo Coupé. Two further highlights of 2011 will forever leave me with happy memories. My placement at CAR a couple of months ago was tremendously enjoyable and insightful. Special thanks in particular again to Tim Pollard and Ben Pulman for all their time and guidance there. The summer sensation that was Banger Does Britain was an epic and short-lived adventure. Before we set off, James Ruppert (yes the James Ruppert of Bangernomics fame) sent a pack of goodies to help us on our way. 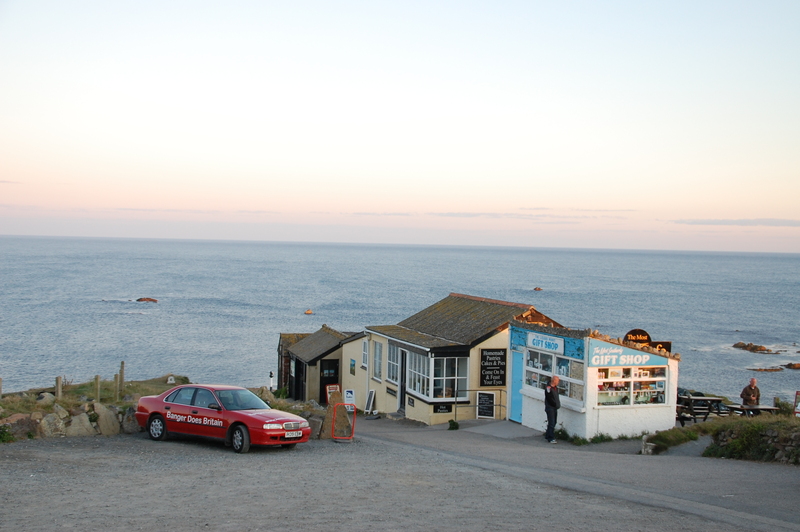 Two men (my sister’s husband, Trev and I), a 15 year old Rover 620Si automatic bought for £500, reaching the four extreme compass points of Britain across 1248 miles in less than 24 hours. Makes some of these Top Gear drives look a bit too stage managed… So many brilliant memories that day (as well as a lot of heart in mouth ‘are we actually going to make it?’ worries) typified by us being joined in convoy in the approach to Glasgow by Stephen McNaughton, complete with makeshift bodyside graphics on is C-class. The Red Rocket is still missed. After 16½ hours of traversing the nation, Trev could hold on no longer. That book (which is how all this writing malarkey started, after all) is still coming – you’ll be able to unwrap it in time for Christmas next year. I have a very patient and supportive editor in the form of Hannah Shakespeare, providing sage-like wisdom when I need it most. Which is most weeks. Having support and encouragement from those close to you is always a prerequisite for success but receiving it from people who, initially at least, are relative strangers is also very special. Oddly, some of the best comments are from people who say ‘I don’t really like cars but I stayed with that all the way through.’ I’d love to thank each person individually who’s sent me an email or tweeted me a positive comment about something I’ve written but I’m bound to forget someone. Suffice to say, every single comment has been deeply appreciated. So, here I am, nine months on from going live, with nudging 20,000 website hits, over 1000 strong Twitterati and a 100 Facebook likers – and it’s all very humbling. Thanks again to each and every one of you for reading, conversing, assisting and advising throughout the year. Knowing that so many people appreciate what I put online is a great motivation to keep going. I’ll finish now, before the tears spill over, and wish you all a wonderfully merry Christmas surrounded by your loved ones and a happy, healthy and prosperous 2012. Congrats Keith, looking forward to what you come up with in 2012. Merry Christmas.